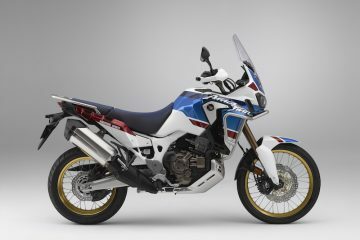 What if you want a Honda Africa Twin but you don’t want to to shell out £10,000 odd on a brand new machine? Well then it might be worth considering the much loved original. 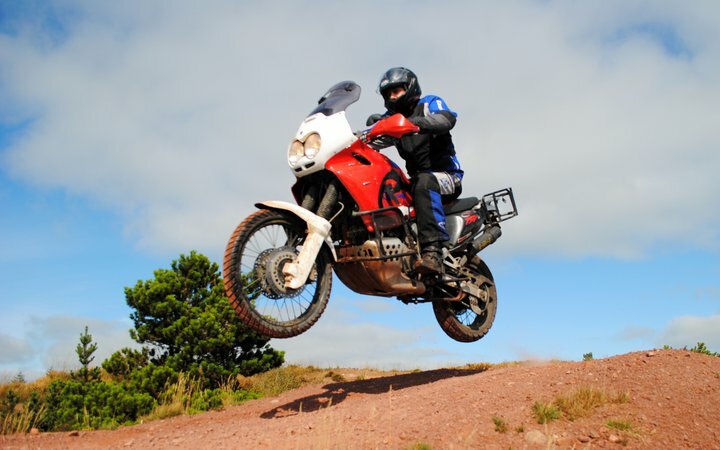 Self-confessed Africa Twin fan Mark Halliday gives us the low down on what to look for when buying a used Africa Twin RD07. 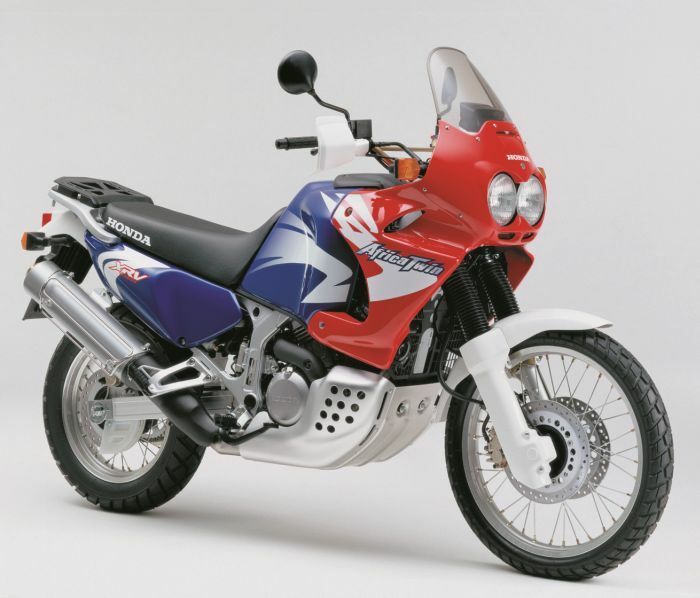 The Honda XRV750, more commonly known as the Africa Twin, has been around since 1989 in one form or another. While Honda stopped production of the bike in 2003 the 742cc V-twin has remained a popular choice for ABRs and is slowly becoming a collector’s item. There are three models available, each with their own quirks, the RD03, RD04 and the RD07. While there are still a few of the RD03s and RD04s about it is the RD07 that captured most people’s imagination. Back in 1998 you would have expected to pay about £5,695 for a brand new one and in a testament to the bike’s popularity and quality you’d still expect to pay between £2,000 and £4,000 for a second hand one today. It’s no surprise then that prices for an excellent example are still fetching between £3,000 and £4,000 and a good bike should be obtainable somewhere between £2,000 and £3,000. It’s better than putting money in the bank these days as the prices are on the rise for those that are kept in good condition. Extras can push the price up and there are still lots available from places like Romotec, Touratech and of course eBay. Mine is fitted with a Romotec chain guard, rear sprocket lower chain guard cover, side frame infills and exhaust header heat protector. 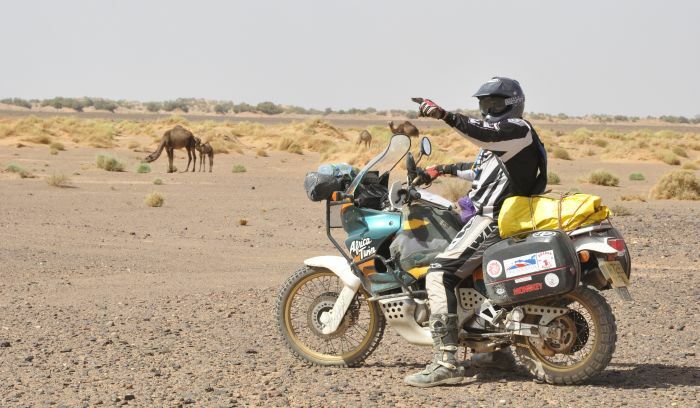 When buying an Africa Twin you have to remember that these bikes ceased production in 2003 so the youngest ones are 11 years old now, but with a bullet proof engine good for over 100,000 miles and a superb Honda finish they have a great track record and have stood the test of time. 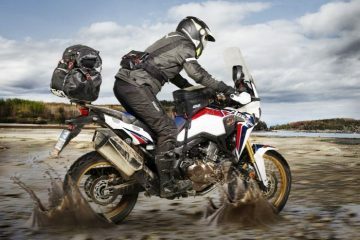 So what should you look out for when buying a second hand Africa Twin RD07? The previous owner is key, if it’s been well looked after and regularly serviced you are half way there. Keep it standard, useful mods are fine but the best examples are standard with original items such as exhausts, plastics and headlights. If these have been replaced with after-market alternatives, find out why and make sure you check carefully for potential accident damage. Some bikes used for everyday transport and throughout winter can suffer from corrosion to the engine casings and it’s a good way to tell the sort of life it’s had. Wheels have been known to corrode from the inside, so check for signs of aluminium corrosion around the spokes and valve. Replacement rims are available but don’t come cheap (close to £300 each).5. Rectifiers can fail which will boil your battery. This has happened to me but replacement rectifiers are easily obtainable on the internet for less than £100. Make sure you get one specific for your model of bike as these rectifiers fit many models of Honda, the only difference being the cable length and plug fitting. While not a common issue some Africa Twins can suffer from warped front discs. Closely inspect the brakes as there can also be corrosion built up behind the caliper piston seals. This creates extra pressure between the seals and the pistons and stops the pistons retracting when the brakes are not applied. I removed the seals, cleaned out the aluminium oxide and rebuilt everything and all was fine for me. It’s not unknown for the fuel pumps to pack in between 30 − 40k miles. You can fit the solid state facet ones as a mod but it needs mounting and a bracket making to replace the original pump. Before our Morocco trip last year with 38k miles on the clock I thought ‘prevention is better than cure’. So I bought a replacement set of points (readily available on eBay) for the original Honda fuel pump and fitted them easily with one soldered connection for less than half the price of a solid state pump and kept it all original. Service items are as cheap as for any other bike and very easy to obtain. I replaced brake pads, chain and sprockets, air filter, engine oil and filter, spark plugs (2 per cylinder) and tyres and tubes all for my Morocco trip. I fitted TKC80’s front and rear though I had to pay more for the rear (had to buy the tubeless type) as they don’t make a 17” tube type tyre. On the ride we covered 3,500 miles. 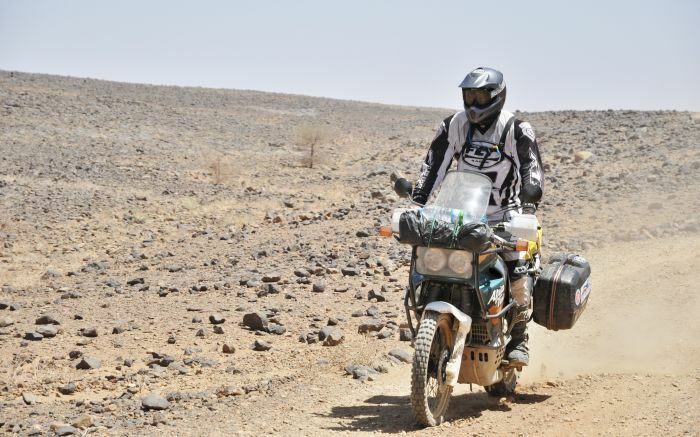 Mostly on tarmac with about three good long off-road riding days including Sahara desert sand and rocky Atlas mountain trails. The front tyre on the Africa Twin looked almost untouched and the rear was good for about another 2000 road miles. 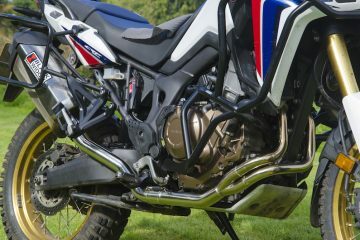 I dare say Honda will still be able to get you new parts for the Africa Twin, I’ve never struggled for anything, however body panels and exhausts will require a small mortgage to purchase new and they rarely come up on the internet auction sites. I’ve fitted a set of handlebar risers which help with taller riders standing up off piste and on trails. A taller screen is useful to create that still air where the riders helmet is (again taller riders benefit) to help prevent wind buffeting. Seats are narrow and can be hard if you plan on spending all day in the saddle so a gel seat from Corbin or Airhawk is worth considering. High tech bulbs will improve the headlight output. Crash bars are almost essential to protect the plastics. There are many varieties for the front lower bars, but Ricky-Cross do them and the high front bars too with incorporated headlight protector and a cool tent rack. Rear pannier mounting frames are useful to double up as crash bars when the panniers aren’t fitted. Centre stands are ideal for wheel removal and chain lubrication etc. Wider foot pegs (Though the originals do have rubber inserts if a little narrow). These can be expensive, £60 upwards, but I bought some for the Honda XR range (same fitting) from China off eBay for less than £20 and they are great. 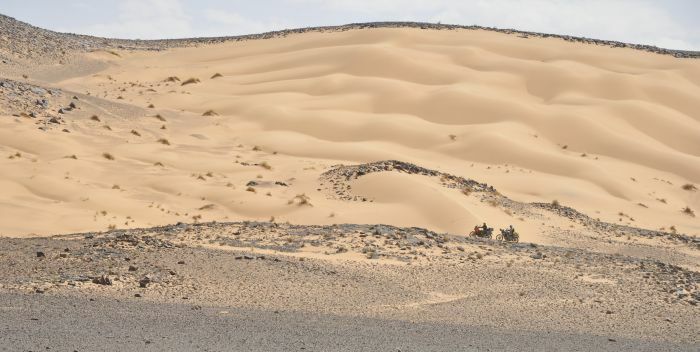 I rode to Morocco and back without any complaints. Heated grips for obvious reasons. Scott Oiler to keep the chain lubed. 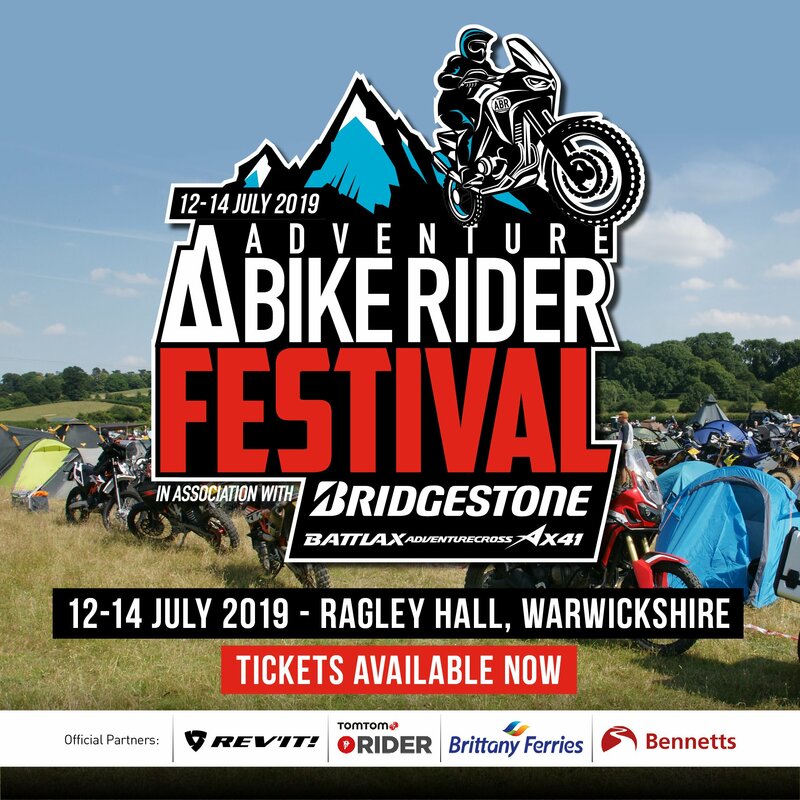 You don’t need to spend over £10,000 to have an adventure bike and to enjoy adventure bike riding. It’s all about how you feel and the experiences you have on your bike. 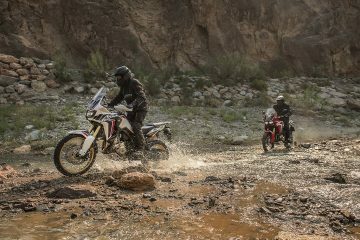 The Africa Twin is a definite contender with great styling, reliability and Honda’s trademark in quality components and finish. 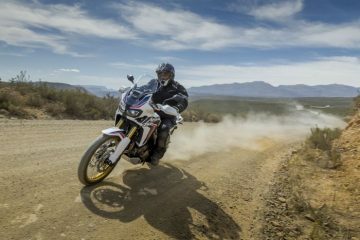 The Africa Twin is not powerful by modern standards but has plenty of torque and will easily keep up on the road. Too much power off-road isn’t always a good thing. It’s surprisingly competent off-road with a full aluminium belly pan to soak up the rocks, good suspension and a low centre of gravity. Plus, if you look after it you’ll probably get more than you bought it for if ever you wanted to sell it. 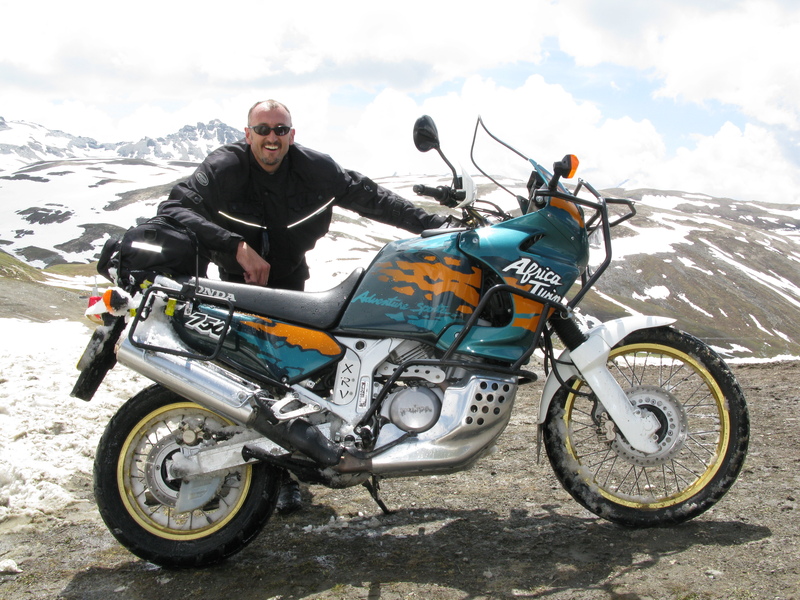 Mark Halliday has been riding bikes all his life. He raced at club level in his early twenties and switched to sidecar racing once he realised he’d peaked as a solo rider. Mark competed at British Championship level in his 40’s and has raced the Isle of Man TT five times, most recently in 2007. He currently finds himself in the position of Chairman of the Formula Sidecar Racing Association (FSRA).